'BOOM': Earthquake Shakes Southern NH, Northern Mass. 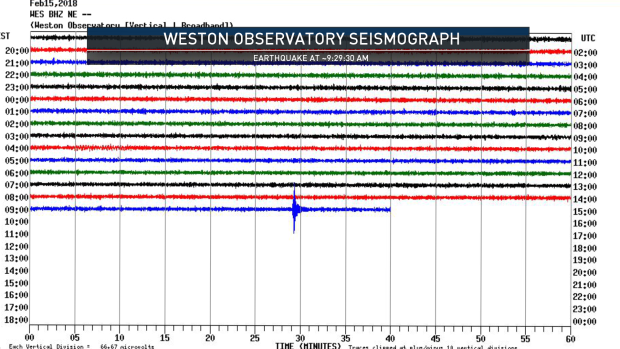 An earthquake shook Exeter, New Hampshire, and surrounding areas Thursday. A minor earthquake has shaken New England. The U.S. Geological Survey says the magnitude 2.7 quake centered on East Kingston, New Hampshire struck at about 9:30 a.m. Thursday at a depth of 6.3 kilometers. John Ebel, a senior research scientist at Boston College's Weston Observatory, says people near the epicenter would probably have heard a loud boom, while people farther away would hear a rumbling and some ground shaking, maybe window rattling. But, he says, "it was way below the threshold for damage." New Hampshire Homeland Security and Emergency Management said no damage or injuries have been reported. The earthquake was felt in northeast Massachusetts and Ebel says probably in southwestern Maine as well. "Very loud boom and the house rattled," Roberta Clark of Bradford said on Facebook. 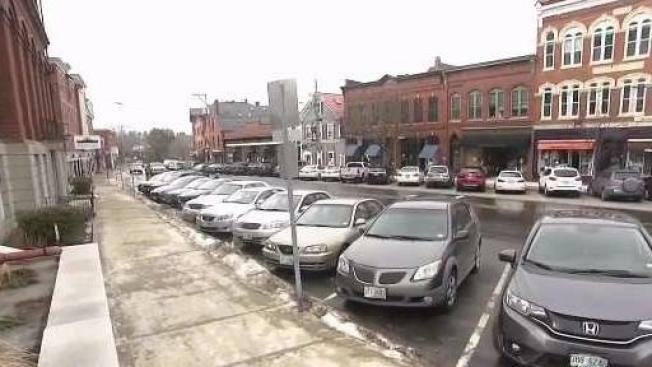 "A BOOM here in Newburyport," said Jennifer Santarelli. "Felt like a massive dump truck dropped a house worth of bricks next to my house! It was quick and then done!" "I work in Amesbury & we thought the building was exploding. We didn't know if we should run or get under the desk," said Melissa Fairbanks Fresia. "I live in East Kingston, NH," said Miriam Chevalier, "thought my furnace had exploded! I was going to evacuate the house it shook so bad." Ebel says earthquakes of around magnitude 3.0 are "not an uncommon occurrence" in New England. "Fortunately, this was a minor earthquake with little impact, but we need to be ready," said Perry Plummer, New Hampshire's director of Homeland Security and Emergency Management. "This quake serves as a reminder to all of us - an earthquake can occur at any time with no warning. Put your emergency plan together now and practice it regularly. People who are prepared have a much better chance of getting through an emergency." For more information on how to be ready when an earthquake hits, go to ReadyNH.gov.